You can see the forests and roads. 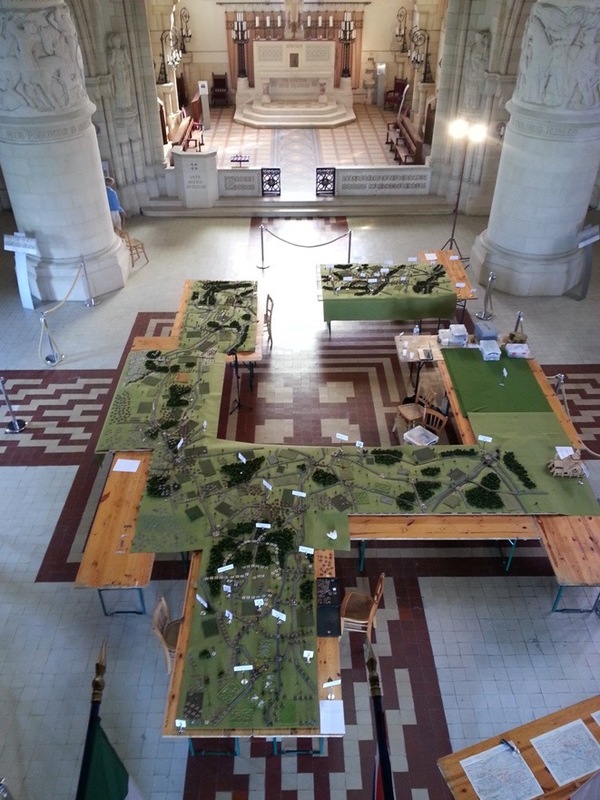 There are a couple of video walk arounds too, along with various photos of the trial run in Dormans Chateau as well as the three day final demonstration in the chapel. 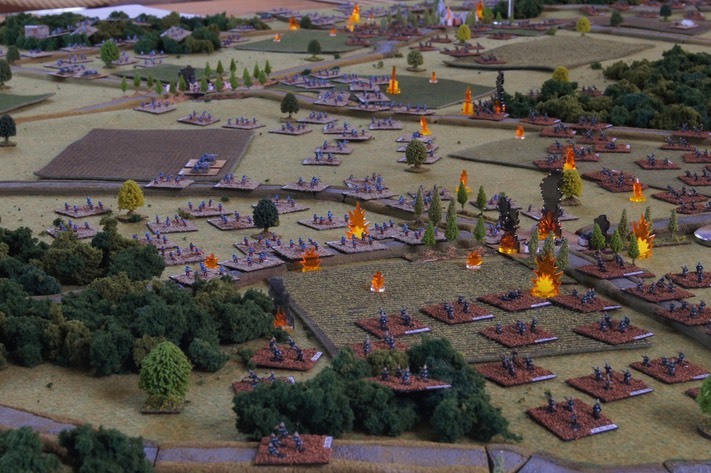 Here is a photograph of the Hexon Terrain covered with a mat. The latter has gradually conformed to the shape. When I get back from travelling then I will dress the table further. Here is a photo of a steam pinnace and tows, heading to pick up ANZAC troops for the landing. 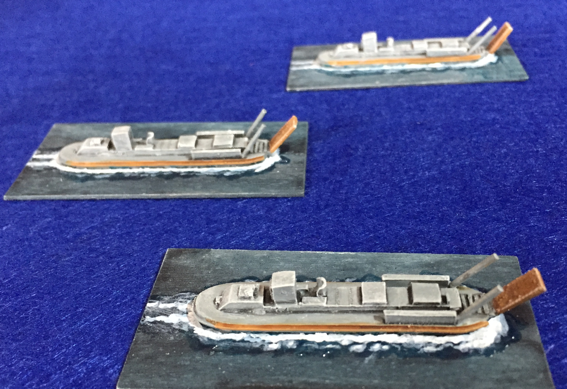 The boats are 1:600 scale mounted on ultra thin plywood measuring 1.25" x 2.5". Thanks Norm. I will post some more pics as the project evolves. Currently there is a terrain mat laid over the Hexon contours. The mat is slowly conforming to the contours. Then I will add the beach, shrubby landscaping, dirt road, etc.